October 7, 2017: Looks like the Triple Your Data Offer is continuing on without a specified end date. Originally, the offer had an end date of October 2, 2017. Freedom Mobile is a Canadian wireless telecommunications provider owned by Shaw Communications. It’s Canada’s fourth-largest mobile operator. The company was founded in 2008, originally known as Wind Mobile, and its network has expanded greatly since the initial launch. Freedom Mobile offers affordable flat monthly fees and freedom from data overages. They’re working to improve their 3G network, plus currently rolling out a powerful new LTE network across the Freedom Mobile coverage map. The rollout is happening in stages but should be completed this year in 2017. And from September 21st until October 2nd, Freedom Mobile is offering to triple your data plan at minimal cost. For just $40 monthly, you can triple your current data offer with Freedom Mobile, jumping from 2 GB to 6 GB. And even if you manage to use your monthly data amount, you can continue using data at reduced speeds with no extra charges. Freedom Mobile’s home network provides 6 GB of full-speed data (the original offer of 2 GB, plus a 4 GB bonus with this special offer). You’ll get unlimited talk throughout Canada, in addition to unlimited global text, picture, and video messaging. With Freedom Mobile’s World Saver, you can also call internationally to over 200 countries starting at just 1 cent per minute. Call Control offers you caller ID, missed call alerts, conference calling, call forwarding, and call waiting, and you’ll also have access to Freedom Mobile’s Voicemail+. The above offer is available for new activations in-store, starting September 21st and it will run through October 2nd. The offer is subject to change or cancellation without notice. However, if this does occur, Freedom Mobile will continue to honor the promotion for any customers who qualified prior to the cancellation or change. New customers on either a Pay Before or Pay After line can qualify for the extra 4 GB of data. To get the extra data, customers simply need to sign up for Freedom Mobile’s current in-market $40 plan during the designated promotion period. This promotion may be combined with MyTab Bonus offers, Better Together Savings, and the Refer a Friend program. However, it can’t be combined with any other in-market offer. With this promotion, you’ll receive an additional 4 GB of data each month (triple Freedom Mobile’s initial offer), for as long as you remain active and in good standing on the $40 plan. All services are for personal use by an individual and are subject to Freedom Mobile’s Terms of Service Policy, Internet Traffic Management Policy, and Fair Usage Policy. 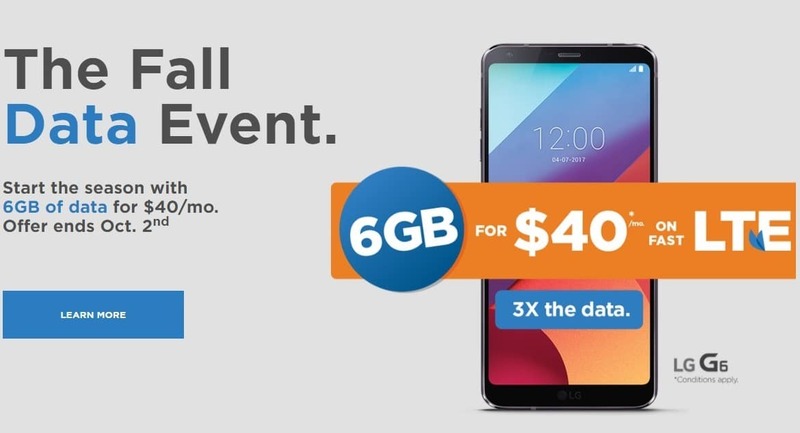 If you’d like to triple your data without tripling the cost, you may want to take advantage of Freedom Mobile’s current promotion.